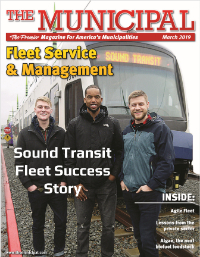 Seattle’s Sound Transit has slashed 115 vehicles from its non-revenue fleet thanks to process optimization using vehicle sharing and fleet management technology. The reductions are part of the transit agency’s initiative to operate its fleet and facilities more efficiently. Legacy processes were replaced, resulting in automated, streamlined access to vehicles for approximately 1,000 of the agency’s staff. A savings of more than $2 million has been realized for taxpayers since launching the initiative in 2013, and the savings continue to grow. Read their success story and find out how they did it and how you can too.